Paradise Links’ stylish Links Rooms and the 1 and 2 bedroom dual key apartments boast gorgeous views over the lagoon style swimming pool and the lush tropical gardens. Luxury two storey 2, 3 and 4 bedroom Villas offer spacious accommodation with spectacular views over the golf course. Immerse yourself in a tropical environment at Drift Resort Palm Cove. Boasting an enviable beachfront location overlooking the Coral Sea, The Resort surrounds a quarter acre free-form lagoon pool area like no other in Palm Cove. Bayview Bay Apartments & Marina offers affordable accommodation central to the Gold Coast’s major attractions.Situated on a peaceful waterway between Paradise Point and Southport near Broadwater, Bayview Bay is in a convenient location to all the Gold Coast Attractions on Queensland. Escape from the bustling streets of Brisbane CBD to a spacious apartment in our heritage building that offers our guests a home away from home fusing traditional charm with modern comforts. With a central location Macathur Chambers offer a great position for your trip to Brisbane City, whether you are travelling to conduct business, attend a conference, see a stage show or exhibition, attend a wedding or simply want to have a relaxed weekend shopping trip we have something for you. Coral Sands Motel offers guests a value for money, relaxed and comfortable accommodation experience in the City heart of Mackay. Locally owned and operated since 2005, the motel is conveniently located in the vibrant and thriving tropical city located on the Central Queensland Coast. Self rated 3 1/2 star, 2 bedroom fully self-contained apartments located 100 metres from Kings beach, Caloundra. 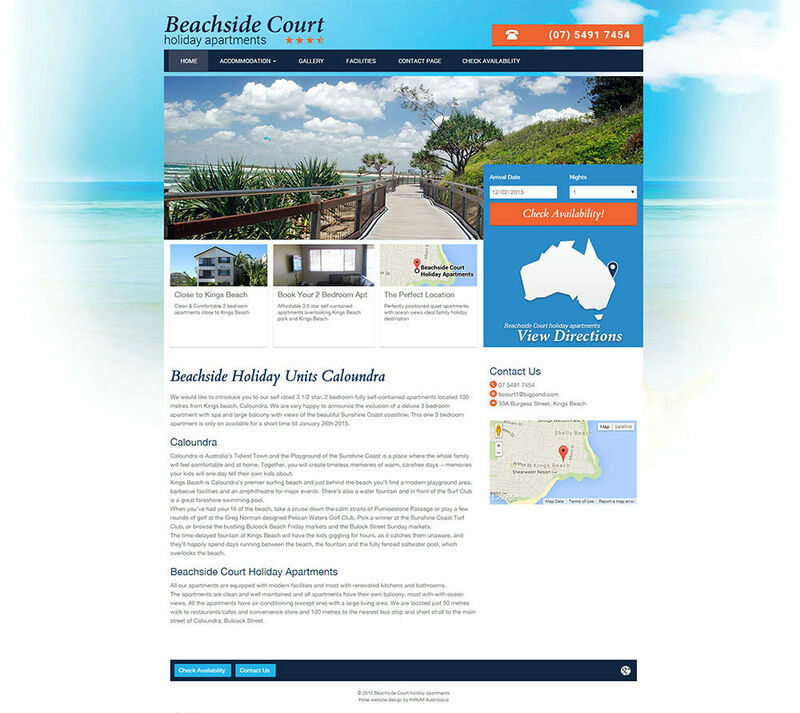 Caloundra is Australia’s Tidiest Town and the Playground of the Sunshine Coast is a place where the whole family will feel comfortable and at home.